John F Hunt Hire Services – 2018, what a year! All three depots in Hire Centres now have the FORS accreditation, with Grays and Silvertown achieving Bronze and Park Royal gaining the Silver standard. Thameside Lifting have adopted a new MCS automated reporting system, which has the ability to email customers 1 month prior to the expiry of any Thameside previously certified equipment. Plant Hire have been shopping! They have now taken delivery of their new 60 tonne, STGO Cat 2 low loader unit, completing their commercial fleet vehicle upgrade to Euro 6 emission compliance. Continuing their rolling machine upgrade programme they have also purchased 4 x Volvo EC140e tier 4 machines and their Komatsu PC290-11 tier 4 has just been converted to the high reach demolition specification. The major investment is in a new Komatsu PC360 and 2 new PC490 all tier 4 excavators. 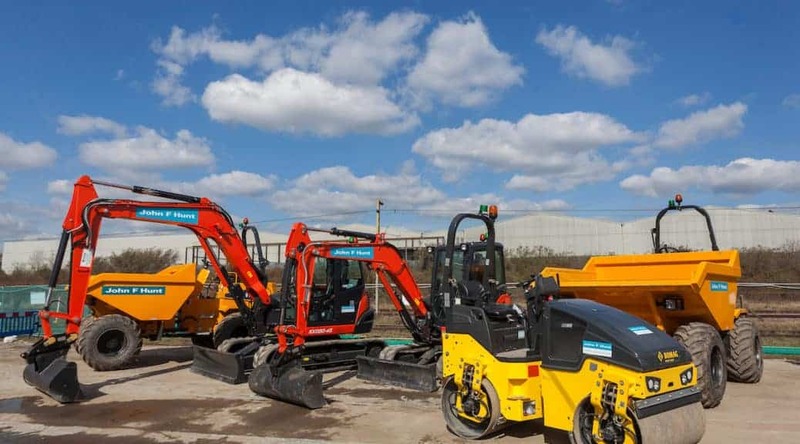 These machines are all due to be converted to our new ‘Deep Dig’ specification enabling them to reach depths of up to 30 metres, greatly assisting our sub structure and civils works packages. Plant Hire achieved FORS Silver in 2018, massively improving their driver & vehicle compliance standard.